Jonathan Scott Studio captures the intimate personality of your wedding day, no matter the location, time of day, tone, scale, or season. The ability of our small team to capture the soul of your wedding is why we remain one of the more trusted, and sought after, studios in wedding photography today. The trifecta for our success? We have mastered technique, accrued years of hands-on experience, and have a creative intuition, and originality, that is unparalleled. Our knowledge of equipment, light, and composition allow our team to manipulate our skill-sets to cater to, and capture, your aesthetic. Our many years working in the disciplines of photojournalism, portraiture and fashion ,give us an edge; our shots capture your wedding moments unfurling and candid, yet have the integrity of an editorial shot. Second, we’ve been on the ground, all across the country, in rain or shine, eagerly delivering wedding day photographic memories. Lastly, its our intuition (what makes the bride and groom tick, the family dialogues and small moments) that offer you an intimate insight into the wedding day. We aren't generic, we love what we do, and we work hard to understand what brought everyone together for this never to be forgotten day. You can trust us to record it as beautifully, emotively, and honestly as possible. Jonathan and his team were incredible - they kept everything light and fun and were not afraid to go the extra mile to get a great shot. Every time Keith and I looked around, we would spot another photographer far off in the bushes or hiding above us getting that extra photo. He also makes an effort to get to know his clients to make the experience even more individualized and personal. 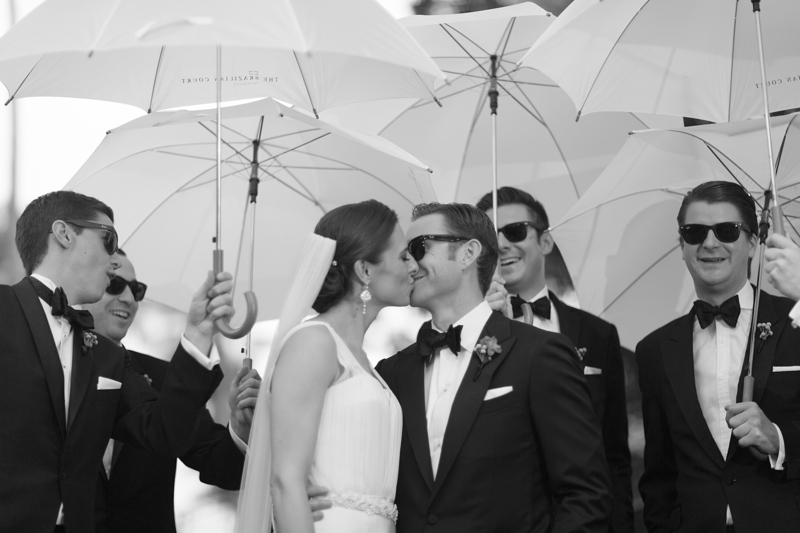 His photographs are artful and stunning, not at all cheesy or formulaic (as many wedding photos can be). Jonathan is amazingly talented and really has an eye for those "magic moments" - whether romantic, moving, or simply hilarious. I am OBSESSED with my wedding photos and cherish them.I am so thrilled to have found Jonathan and I now consider him a dear friend. I cannot recommend anyone more highly -- do not pass up the opportunity to have him document your wedding !!!! Jonathan Scott is the best! Throughout our whole wedding process, he was both personable and professional. We first met him at a friend’s wedding and knew instantly we wanted to work with him too. His approachability made it easy to be comfortable while taking photos. He took the time to get a sense of what was important to us to be photographed and to understand the vision that we had for our wedding.Jonathan’s level of dedication and skill exceeded our expectations as he always arrived early to seek out the best location for photos (e.g., engagement photos, rehearsal dinner, first look, etc.). Our wedding party loved working with Jonathan and his team too. We are so happy with how all of our posed and candid photos came out and absolutely loved that he posted previews for us so quickly after our events! We would recommend Jonathan to anyone! Jonathan took the pictures of Jeff proposing in the Bahamas. The emotions captured on that photo series is palpable. I relive the joy I felt that day every time I see those photos. Jeff was hooked from the beginning. Jeff convinced me to spend the extra money to fly Jonathan from Florida to capture our wedding in Kansas City. It was well worth every penny. It is one thing to get beautiful photos with a gorgeous backdrop, but it takes talent to get breathtaking photos with an exhausted bride, barely blooming trees and grass, and flat Kansas background. Jonathan managed to make my family very happy, and we did not spend most of our wedding day posing in front of the camera. Jonathan also has an amazing personality. He is down to earth but well traveled. He has life experiences, which is why I think his photos are so revealing. We love him so much that we are already planning on getting photos for our 1st year anniversary. Unlike many wedding photographers, Jonathan has his own artistic and unique way of capturing special moments. After seeing his other work and discussing our ideas with him, hiring Jonathan was the easiest decision we made. He hiked two miles into the woods to shoot us at our engagement location and drove 3.5 hours across the state to shoot our wedding. Jonathan exudes a confidence that rubs off on his subjects; we certainly aren't models but he made us feel like we were doing a great job...and the pictures look outstanding. The photos and the video are the only thing left once it's all said and done so we appreciated how Jonathan took charge and made sure we got all the photos we wanted throughout our wedding day. We consider ourselves lucky to have had Jonathan shoot for us! I remember trying to decide which is the most important part of a wedding, and the answer is the photographer! My goal was that in 20 years, I wanted to smile while looking through my wedding album and say, " What a beautiful day it was!" :) I wanted to have photos that would capture the true essence of what my husband and I were feeling that day, our connection, and most importantly... our sense of humor! JSP did just this! What caught my attention to Jonathan was his passion, sense of humor and dedication for fashion journalistic photography. He will do whatever it takes to take the perfect shot. One particular example of his dedication to us, was him offering to return to meet with my husband and I after a completed engagement session. He drove through an hour of rush hour traffic just to take a few more shots, because he knew I was interested in sunset pictures. This is what I mean by dedication and passion! As we were planning our wedding from out of the country, any time we were in Miami, Jonathan went out of his way to meet up with us and get to know us, which in my opinion really made a difference. The pictures are gorgeous. All of our family and friends have been commenting on the superb quality. We are absolutely thrilled with the results. We can’t recommend Jonathan and his team enough! Where to begin! Working with (& befriending) Jonathan has been an AMAZING experience. While currently working in the wedding industry alongside Jonathan for the last few years, I am exposed to so many different photographers. Since day 1 of meeting Jonathan, to witnessing his professionalism with our mutual clients, to working with his expertise during the actual events, to FINALLY becoming a bride myself.....experiencing how he composes the work he does, is absolutely mind blowing. Jonathan - Your creativity and ability to make my husband and I feel so comfortable thru each moment of shooting is incomparable.... these pictures say it all.....and you captured the day flawlessly. From the engagement shoot, to my boudoir session, to the wedding day - the pictures are everything more than we could have both even dreamed of. The only thing from your wedding day you have left other than your own memory is your pictures...so when it comes to photography do not skimp on getting anything but the best - Jonathan..you truly are the best. Amazing artistic photography. Jonathan drove all the way to DC from New York to take engagement photos with us in the cherry blossoms. He was responsive to our emails and phone calls. First, he went out of his way to shoot our engagement in DC during the cherry blossoms. It was very crowded but he angled the camera to make it look like we were the only ones there. Even after the wedding, Jonathan and his staff were easily reachable by email to answer any questions. I am very very happy I chose JSP! Jonathan is professional, artistic, and the best wedding photographer a bride can ask for. He truly loves what he does and you see it in his work. Our wedding photos are artsy and magazine cover quality. Everyone who sees my photos are so impressed by the quality of the shot. I would recommend him to anyone! Thank you for your interest. I look forward to all the great memories we can capture together! With 15 years in the wedding industry, and over 750 weddings documented, I and my team bring a broad range of experience and skill to your wedding day. Our talent is being able to navigate the live action setting of your wedding while keeping our interactions with you and your guests fun and non-intrusive, so to artfully capture the action as it naturally occurs. Custom packages are created based on your specific wedding needs. I welcome the opportunity to discuss these with you further at your convenience. Please email or call me to receive my pdf brochure and let me know a good to we can set up a call!